Topic: Rock & Roll Hall Of Fame - Thoughts? Re: Rock & Roll Hall Of Fame - Thoughts? Until Rush gets in the Rock and Roll HOF is a joke. Rush has more consecutive gold records than any rock act except the Beatles and the Stones. Topic: Classic Jimmy Page sound. Help plz. Re: Classic Jimmy Page sound. Help plz. Lord know I love gear, but you don't need gear to sound like Jimmy. You need chops! Keep practicing and you'll be able to play Communication Breakdown in no time. What happened to direction of this thread?!! By the way, I love the name "Kayleigh" - and I love that Marillion song by the same name. Topic: Strat Pickup Earthing Problem! Re: Strat Pickup Earthing Problem! Yeah, the metal isn't getting hot enough for the solder to hold. My suggestion would be to pre-solder the claw (no wire) and make sure it is hot enough (let the iron sit there for a few seconds). Once you have solder that is sticking nice a strong, then solder the sire to that solder joint. I agree - sound slike you are doing just fine. What might help is to find a person or two to play with... playing with others is not only fun, but it makes you better. I recently got an Epi Sheraton so I'm playing a bunch fo old Rush. Plus, I recently watched the "Rush Movie/Documentary" and Alex LIfeson plays his semi-hollow Gibson on many of the tracks and videos... so naturally I started to play Freewill on the Epi too! Great stuff! 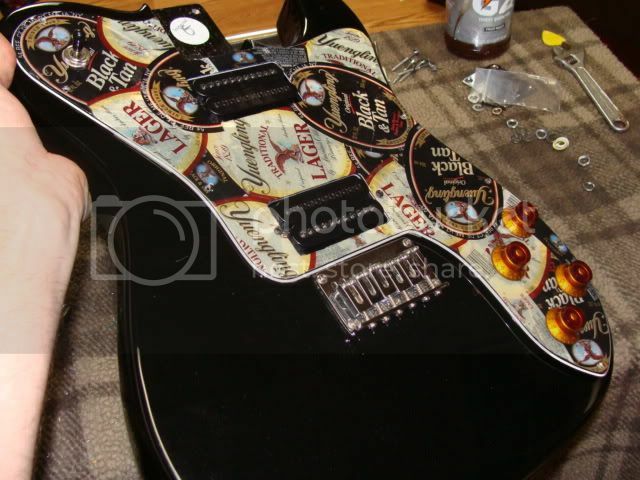 Squier custom Tele. 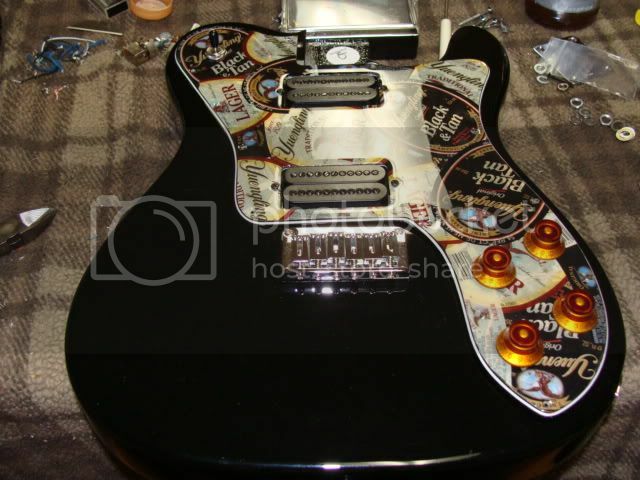 I swapped the pickguard with one that holds humbuckers and wired the thing with the Jimmy Page wiring system. I still have the p-90s and pickguard if I want to switch back. Topic: Good songs for two guitars? Re: Good songs for two guitars? My first thought was Thin Lizzy or Iron Maiden... but perhaps some AC/DC?